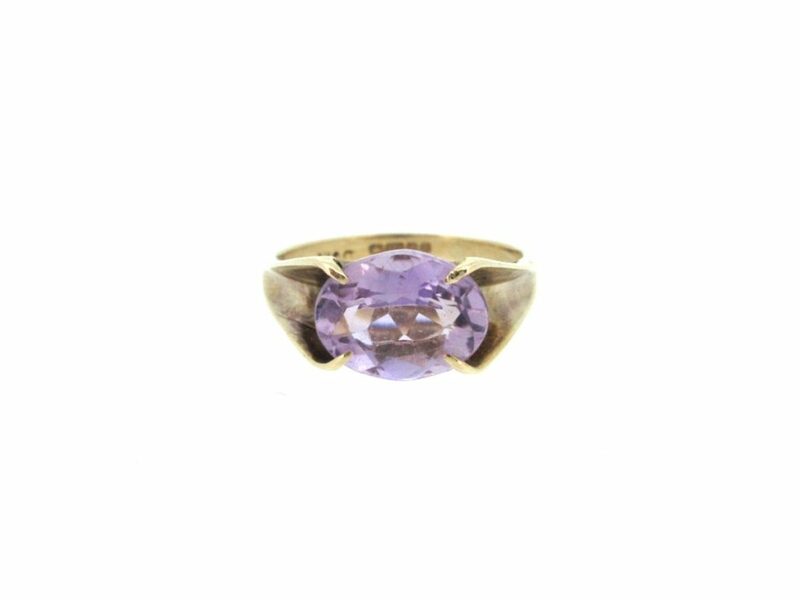 An oval cut amethyst in a claw setting designed to keep the stone exposed & open to let light through. Stone dimensions approx. 7.2mm x 9.5mm. Pre-owned.